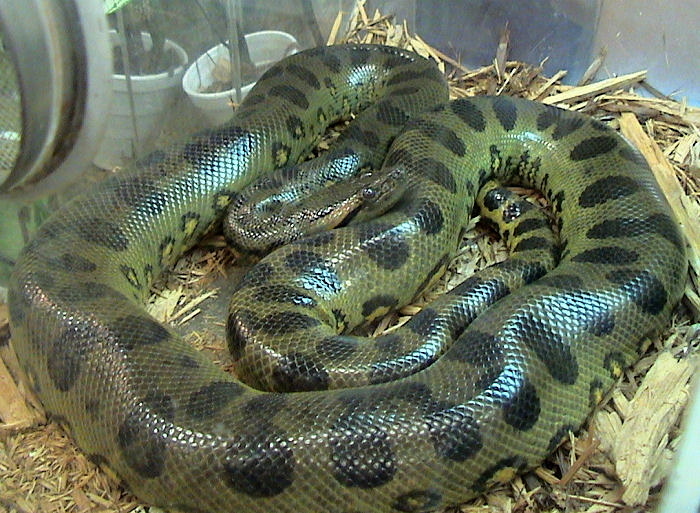 Green anacondas are large snakes found in South America. They can reach massive lengths and weights, with their size being parts of folklore. 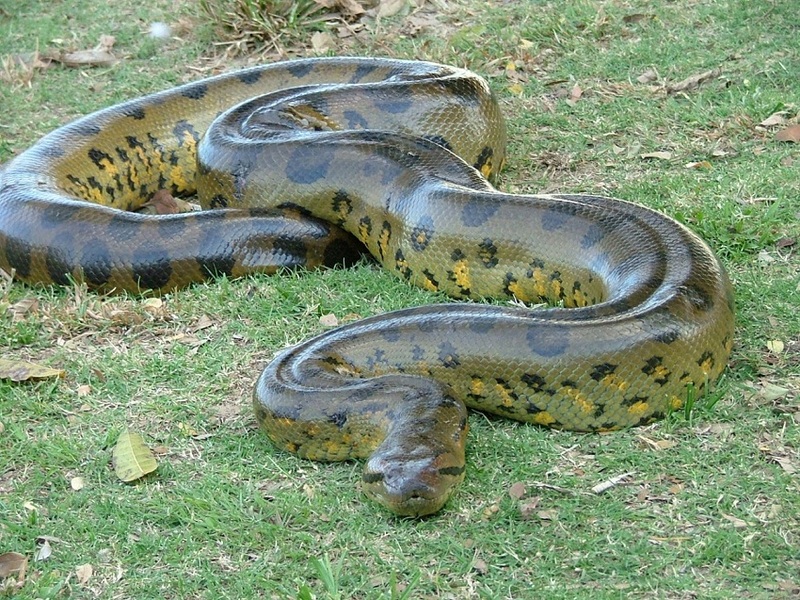 Size: They reach a length of around 17.1 ft (5.21 m). 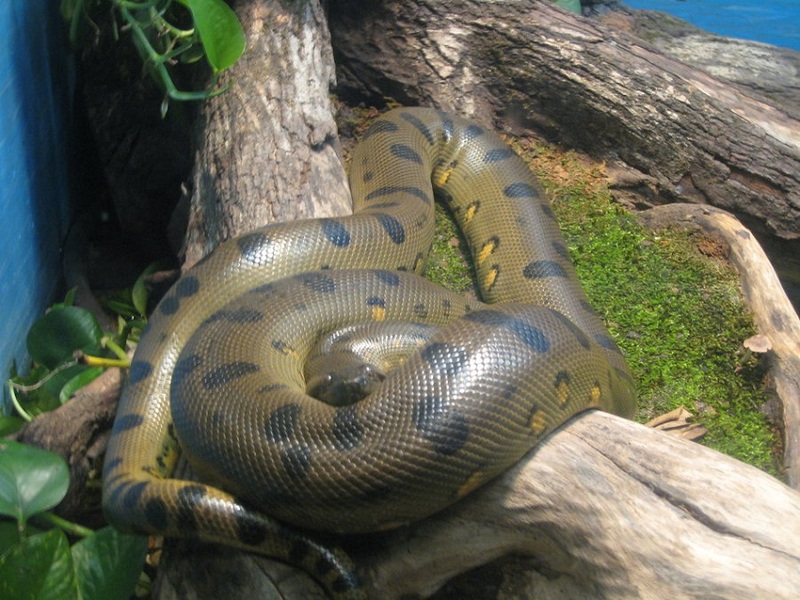 Weight: Green anacondas weigh around 66-154 lbs (30-70 kg). Color: They are dark olive green on the back and yellow at the belly. There are round brown blotches bordered with yellow on the back. 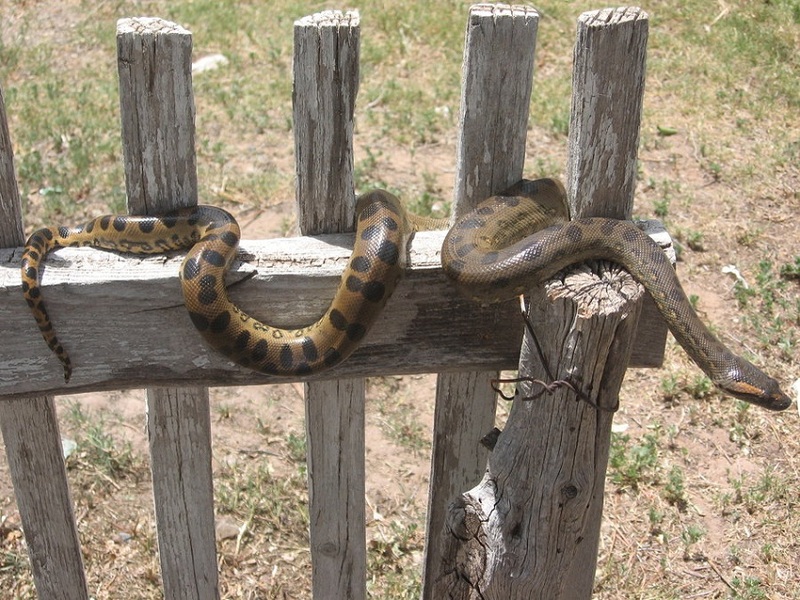 There is a black stripe that runs from the eyes to the jaw. They live in South America, in the countries of Colombia, Venezuela, Brazil, Ecuador, Paraguay, Bolivia, Guyana, French Guinea and Trinidad. They inhabit tropical rainforests and stay in marshes, swamps and slow-moving streams. These snakes spend most of their lives in water, more than any other boa species, a behavior that earns them the name water boa. They become active during the early evening. In the water, they float just beneath the surface of the water with their snout and eyes above the surface. They are apex predators in their habitat and are opportunistic eaters. 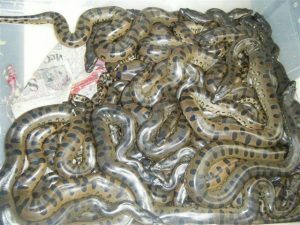 They feed on birds, fishes, amphibians, mammals, and other reptiles. Their preferred preys are capybaras, caimans, collared peccaries, wattled jacanas, South American tapirs, red side-necked turtles, among others. 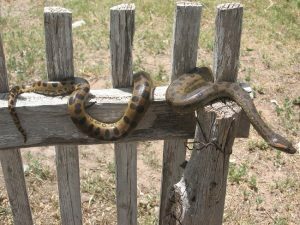 Their method of killing is to wrap its body in coils around its prey and constrict the life out of them. 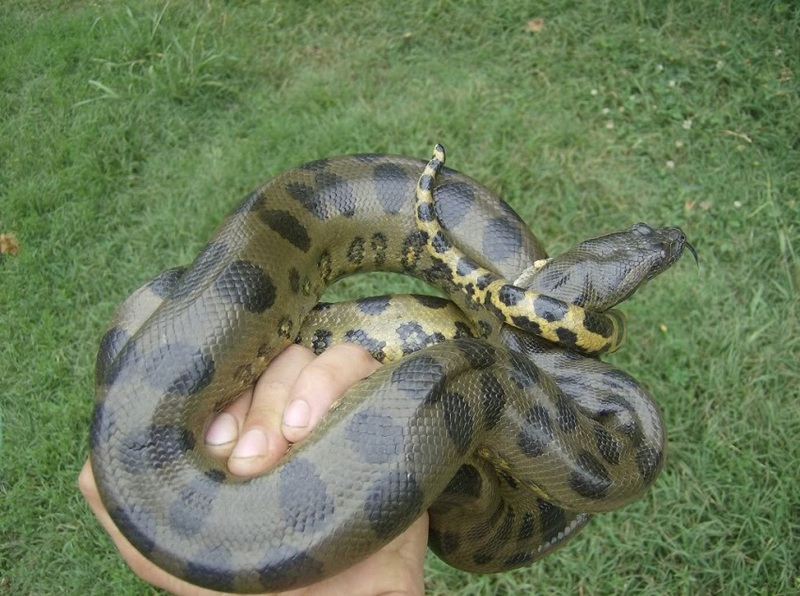 A single female green anaconda can mate with several males. To gain mating rights with the females, the males compete with each other. The mating season takes place between March and May. Often, after the mating process, the female tends to eat her mates to survive for gestation period. 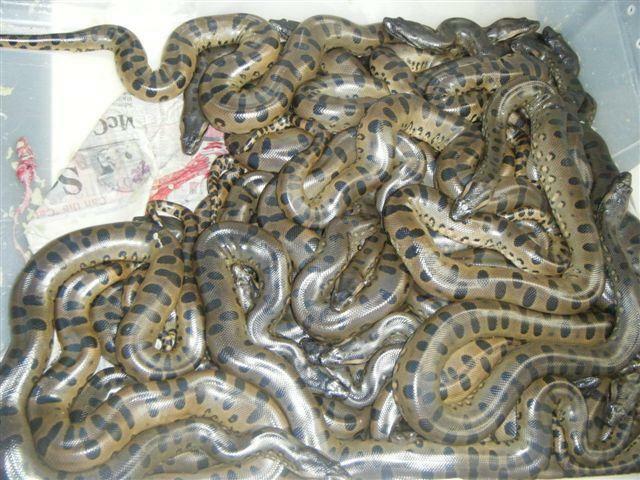 These serpents are ovoviviparous, with the female giving birth to live young after the eggs are incubated internally. The duration lasts for around 7 months. At the end of the rainy season, the female gives birth to her offspring, usually numbering between 20 and 40, but up to 82 newborns have also been observed. The babies get no care from their mother after they are born and are on their own. They eventually reach sexual maturity at around 3-4 years of age. In captivity, they can live for up to 30 years, but in the wild, they survive only for about 10 years. They perceive their environment with the help of their forked tongues, flicking it out to gather chemicals in the air. They also use vibrations to collect information on their surroundings. The eyes and ears also play a role but much less than the abovementioned methods. 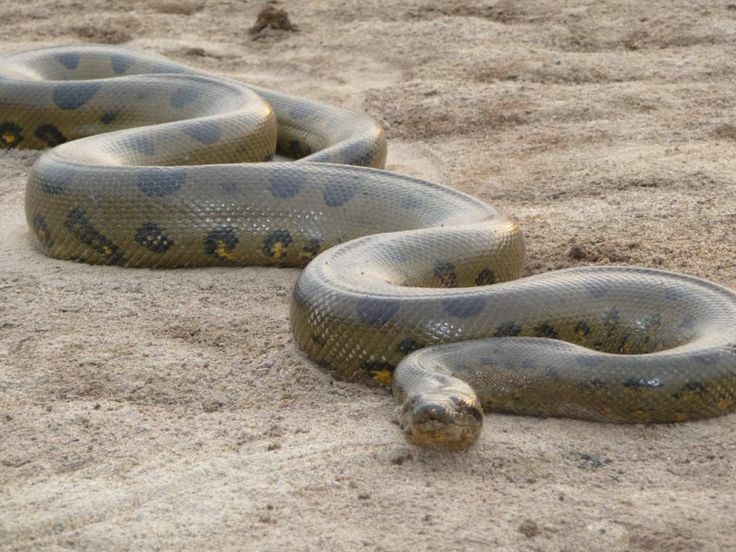 Since the snout and eyes are on top of the head of the green anaconda, it helps them breathe and see above the surface while they are submerged in the water. The jaws of the anaconda unhinge completely to help them swallow their prey. 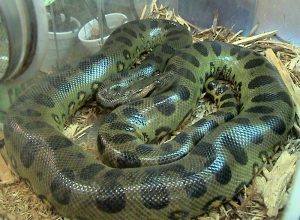 The muscles in the snake’s body assist them constrict their prey to suffocation. 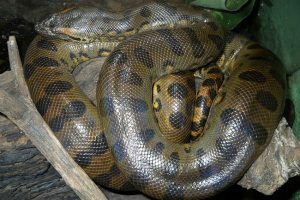 Caimans and jaguar frequently prey on juvenile green anacondas. Adults are rarely preyed upon. 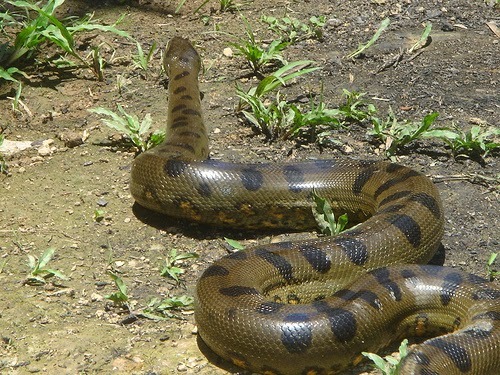 The green anaconda has not been evaluated by IUCN yet. 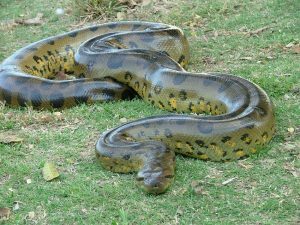 The green anaconda is the second largest snake after the reticulated python but is the heaviest snake in the world. It is one of the most portrayed serpents in film and literature.